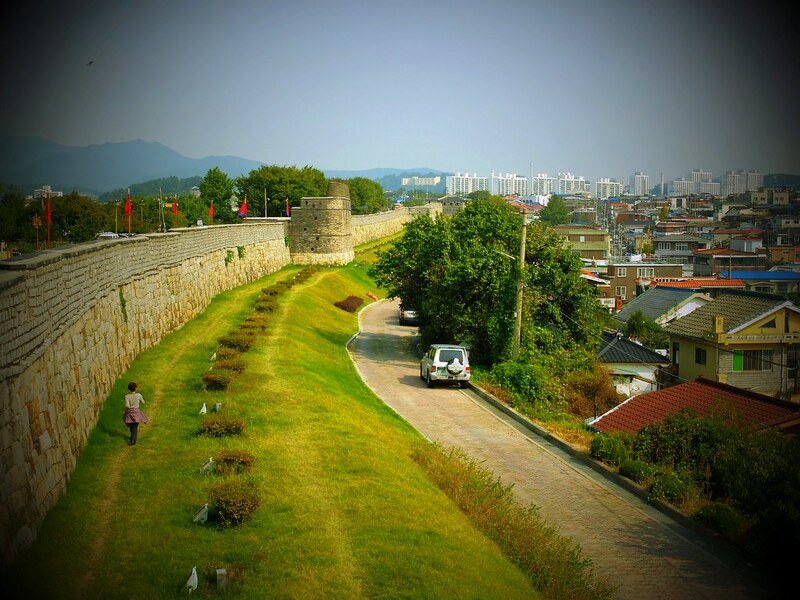 Consider as one of the best out of the city trips from Seoul, easily reachable by thirty minutes local train ride is the town of Suwon and the impressive 5.52km stretch fortress wall of Hwaseong. 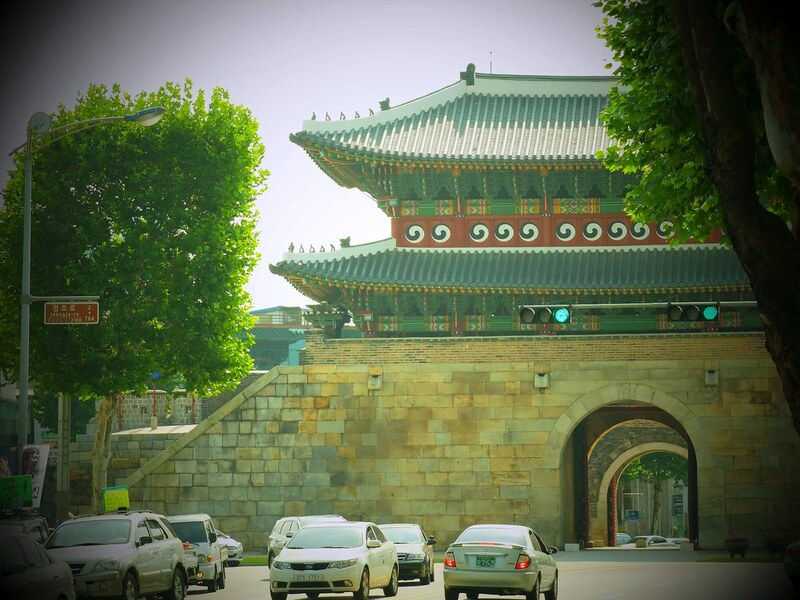 From the train station, either you choose to walk towards one of the four corner gates of the walled city or take the local bus with a stop exactly close to Janganmun (north) gate. 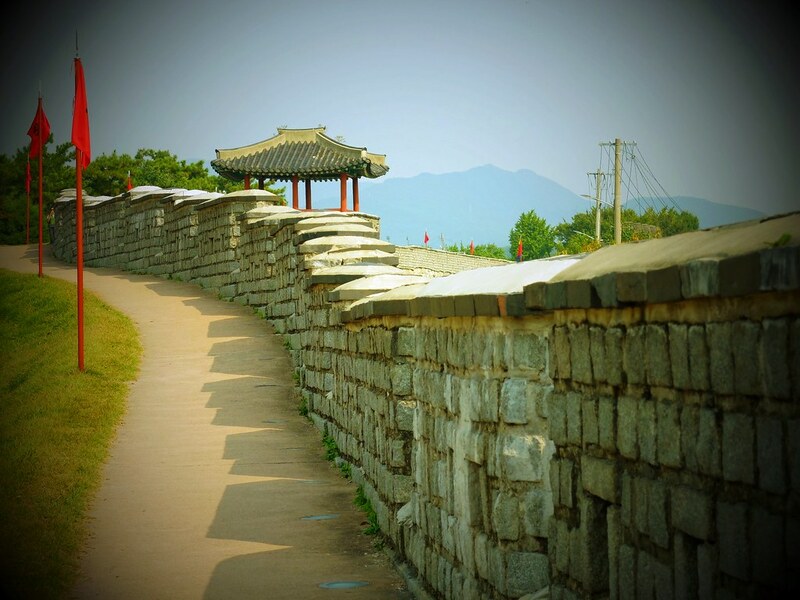 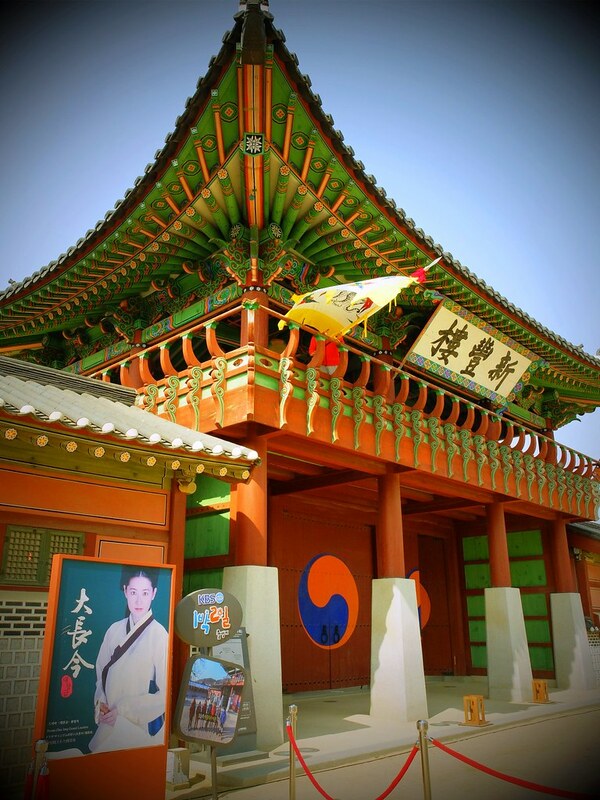 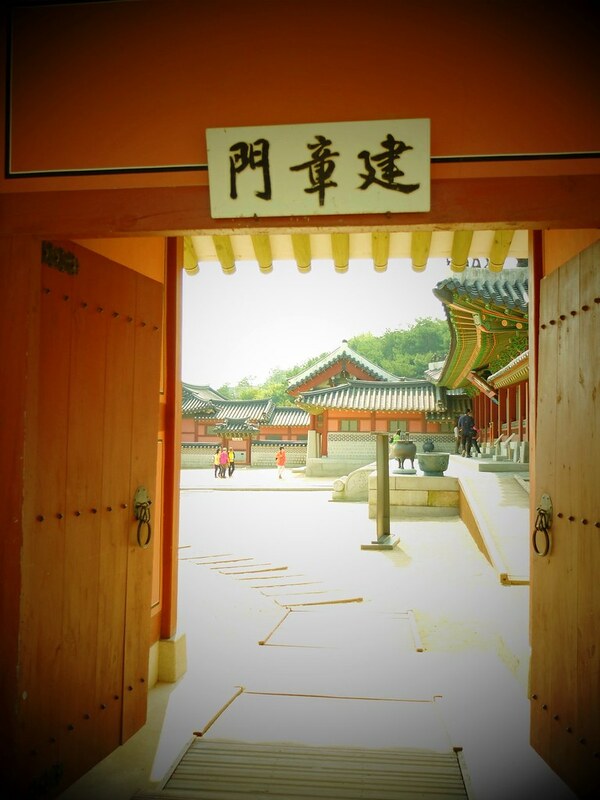 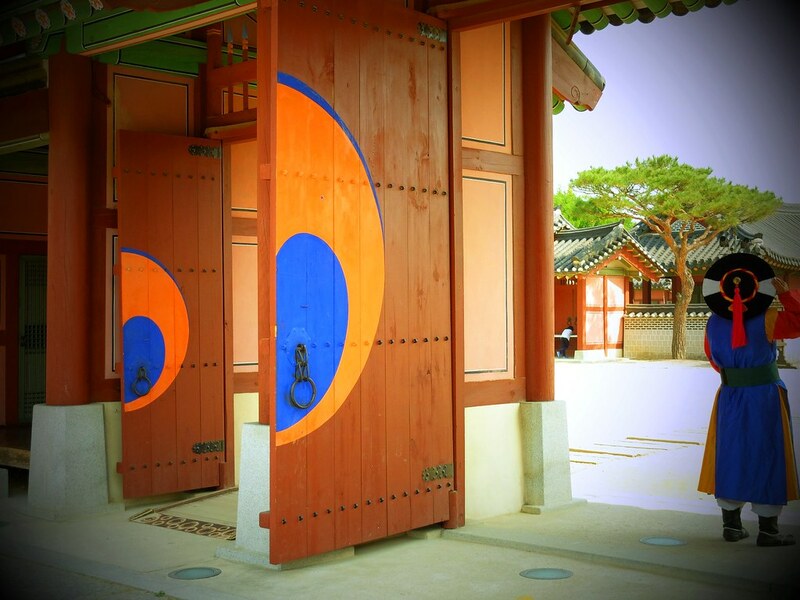 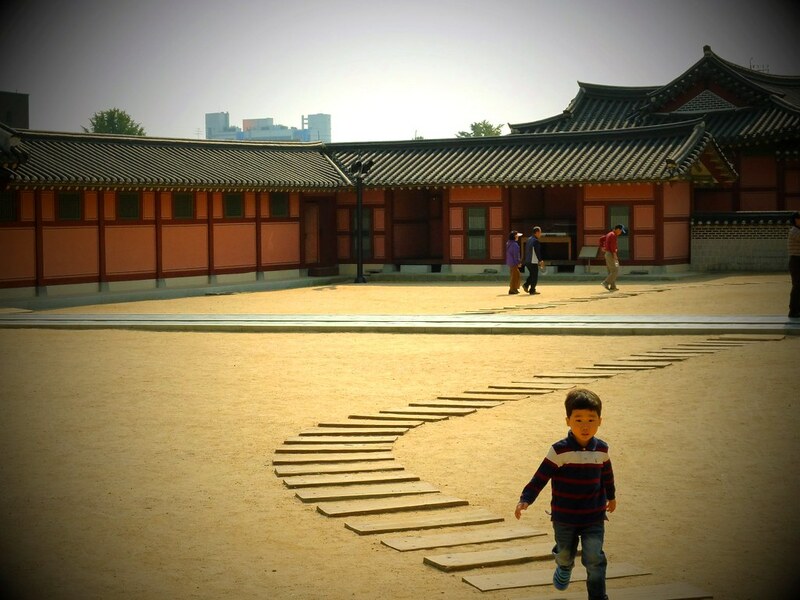 A good walking shoes are needed when visiting Hwaseong particularly if you are determine to loop the fortress. 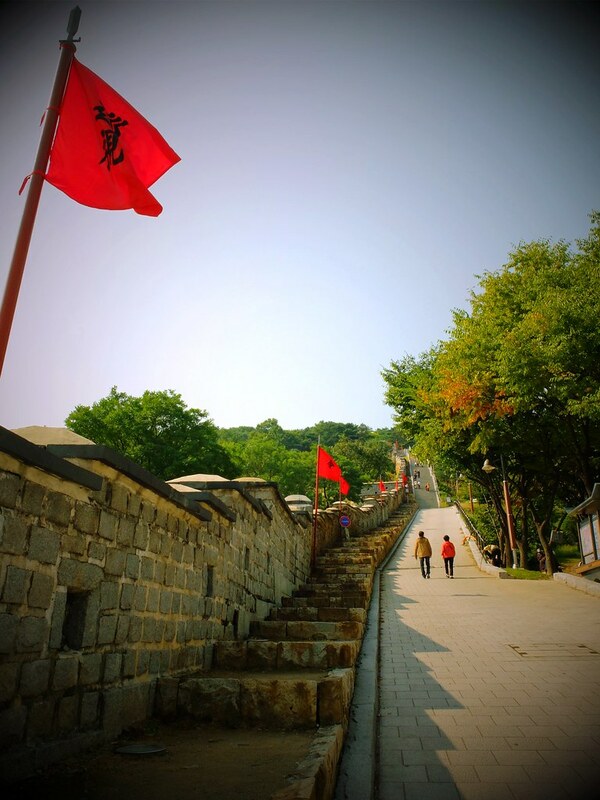 First you need to climb a set off stairs to reach the upper portion which gave a panoramic view of Suwon City, the same view will make you understand how massive Hwaseong is and might force you to reconsider your plan of looping the fortress. 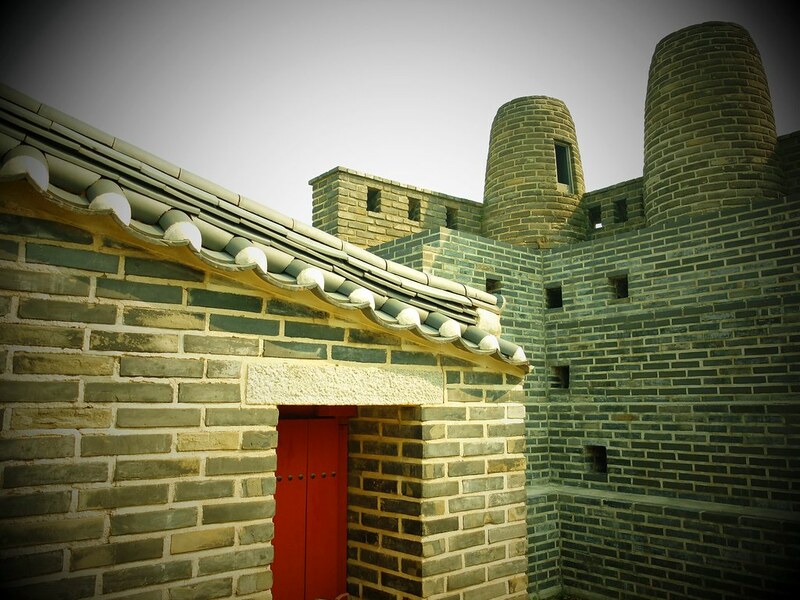 Built in late 18th century and considered as one of Korea’s important historical sites, Hwaseong Fortress is primarily built for military purpose. 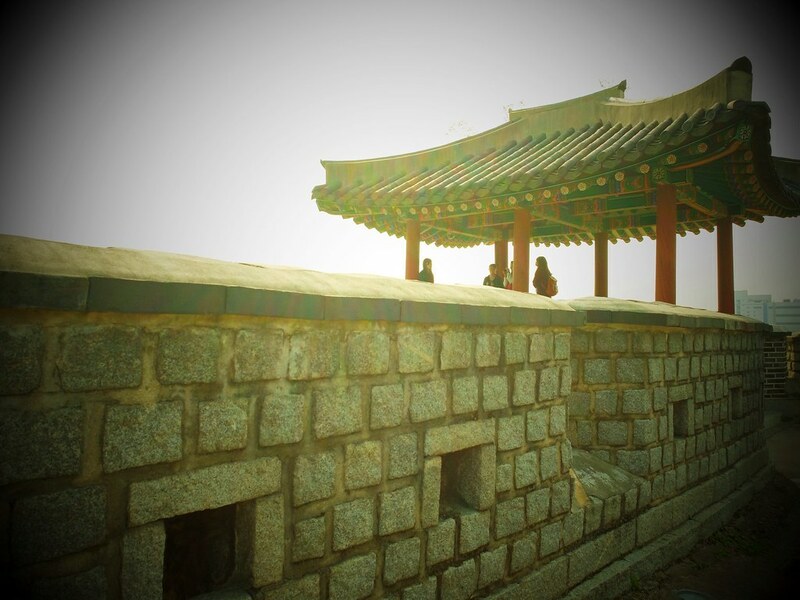 Each part of the wall showcase a number of military defensive features such as observation towers, floodgates and command posts. 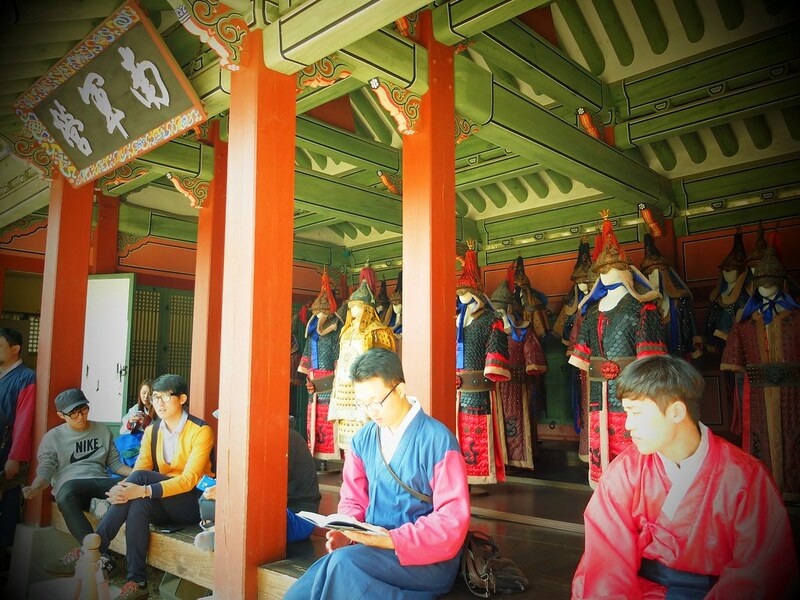 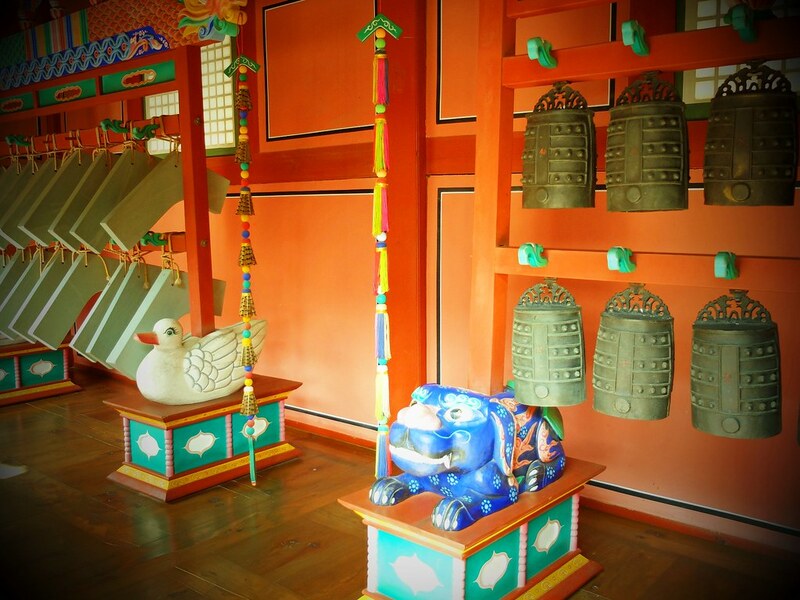 Hwaseong, a UNESCO World Heritage Site like other important cultural heritage around the country garnered even more popularity after it was chosen as one of the locations of Korea’s top period drama called Daejanggeum or “Jewel in the Palace”. 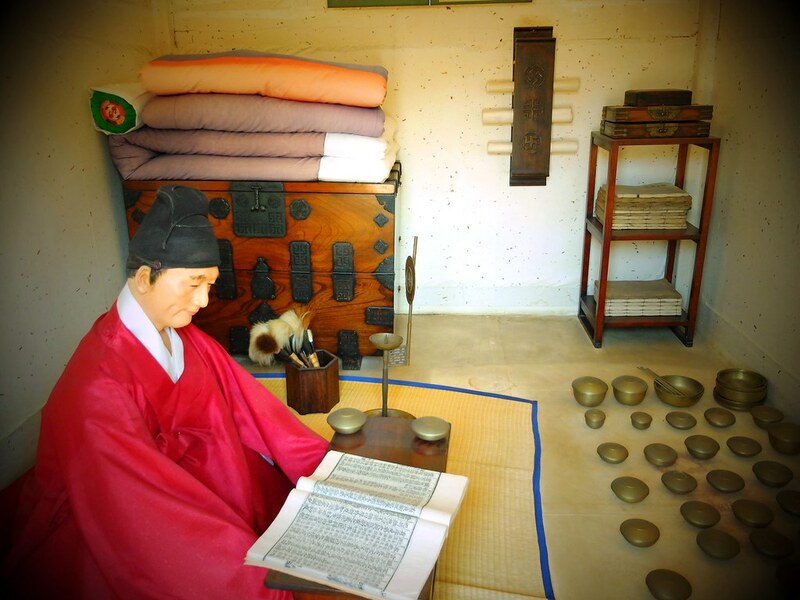 Daejanggeum or “The Great Jang-geum” in English, introduces the idea of a successful female during the Joseon Dynasty and the elements of traditional food and medicine. 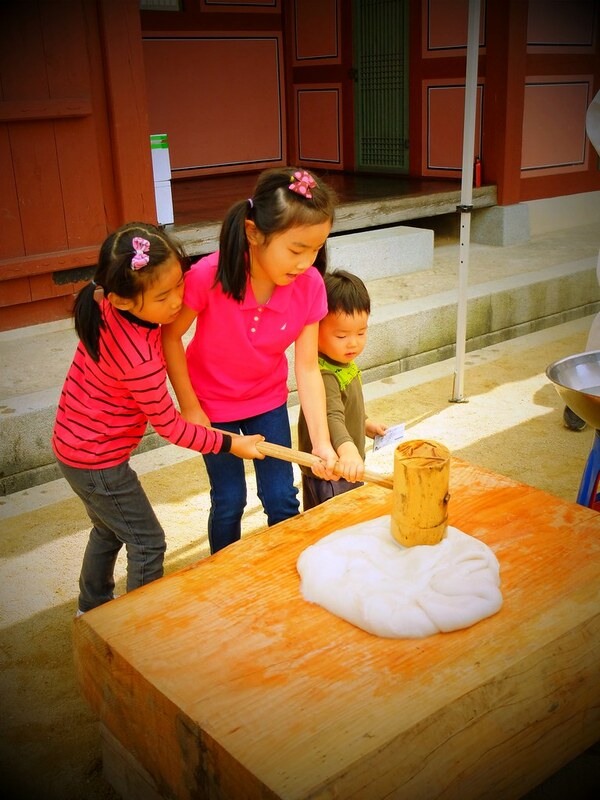 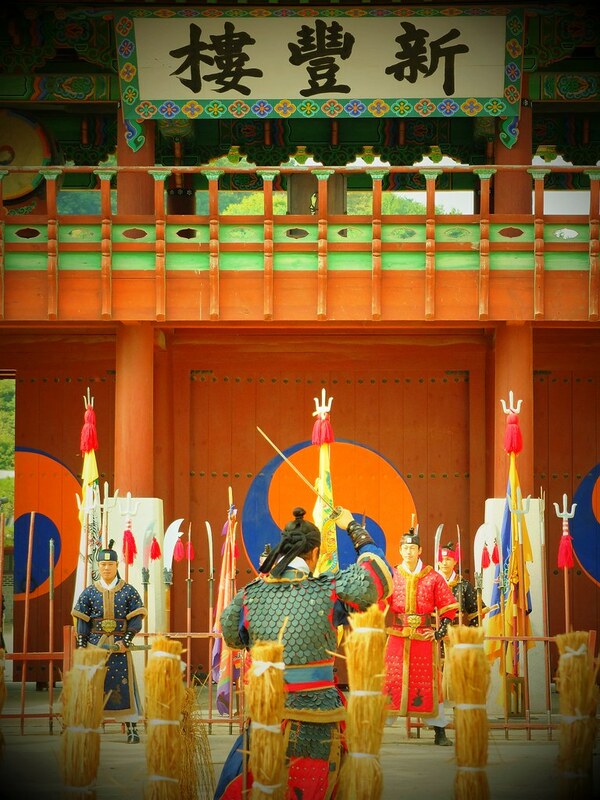 One of the scenes on which the young Jang-geum undergoes her training for cooking was filmed in Haeng-gung and the palace these days taking inspiration from the TV drama encourage visitors to bring their kids along to experience traditional games and activities. 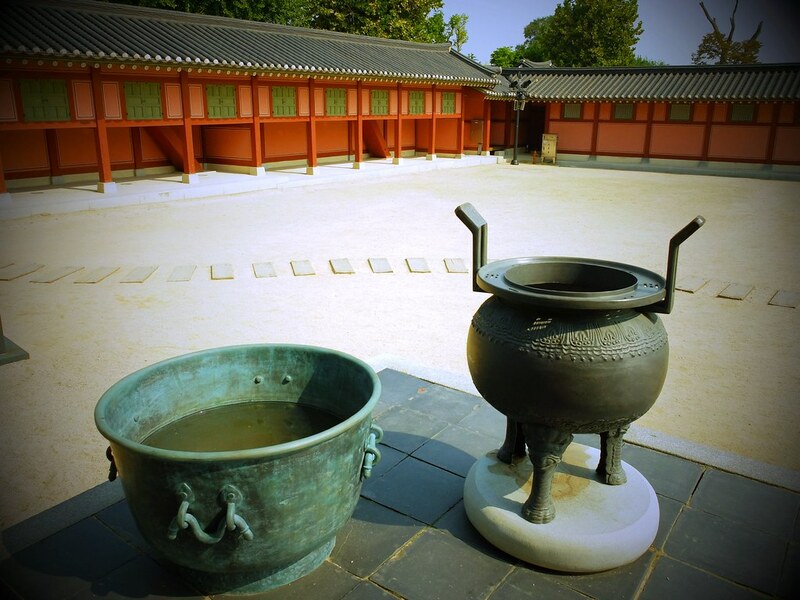 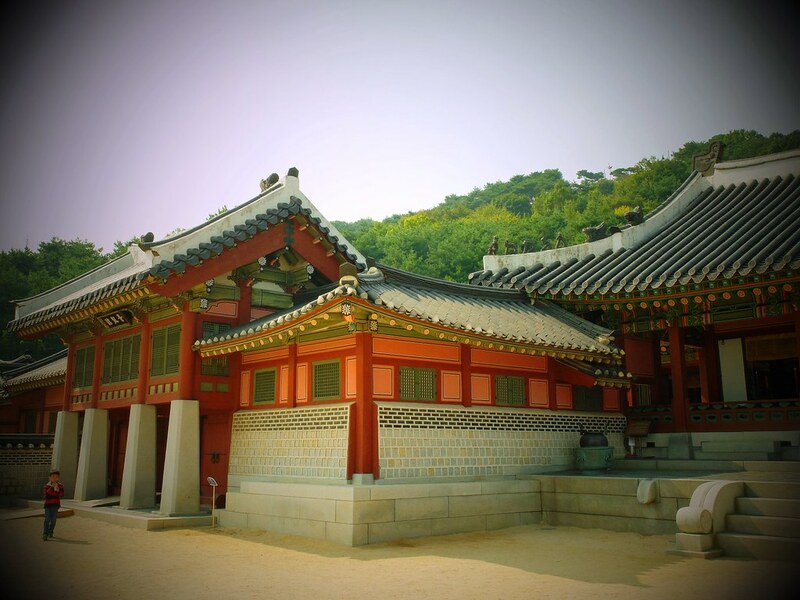 “Haeng-gung” which means a temporary shelter where a king rests or retires from a war is not as grand as the other palaces in Seoul, in fact its structure is quite simple but very well divided in accordance to each building function. 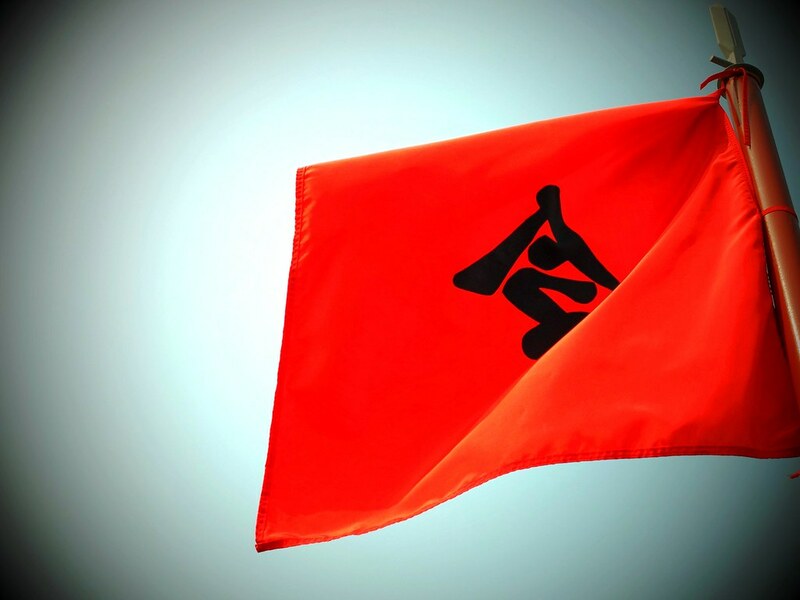 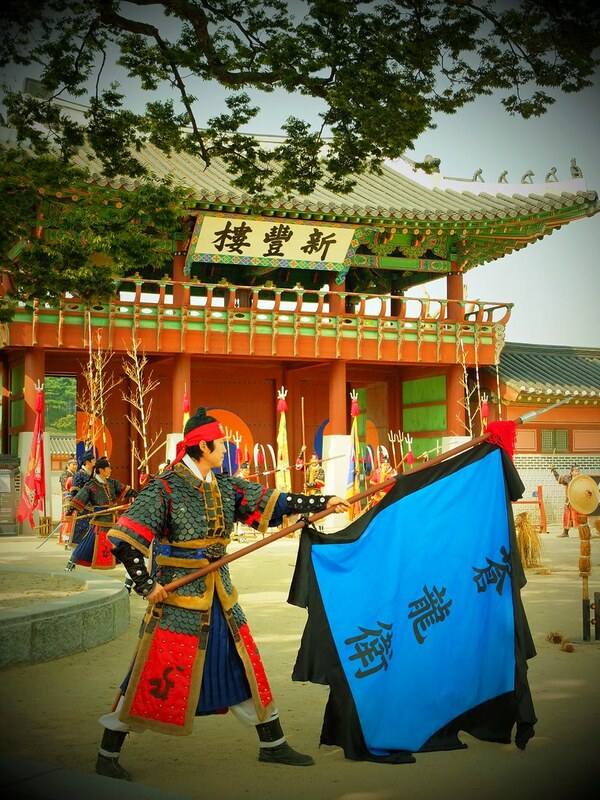 The number of volunteers on traditional clothes welcoming visitors or participating as a guard gave a sense of how important the palace and fortress is for Suwon City and a truly admirable effort from the community. 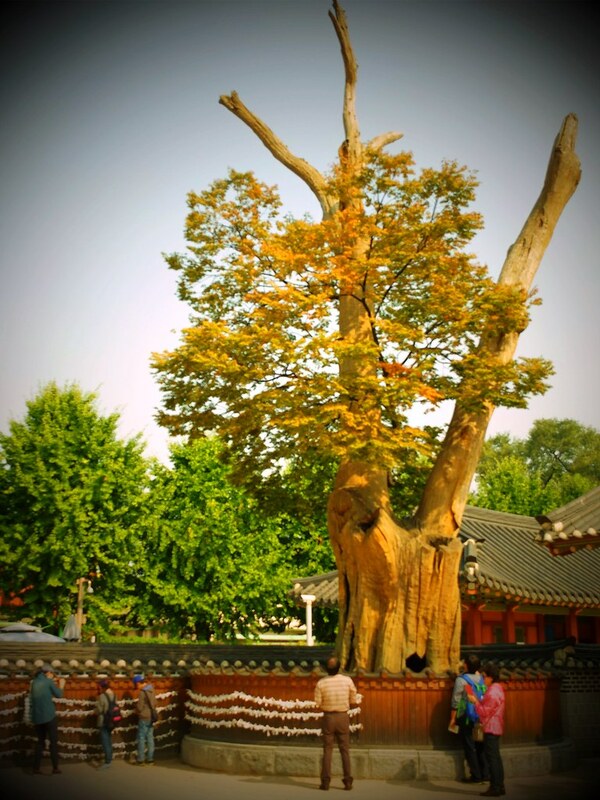 Inside the palace there is a huge Zelkova, a tree standing even before the palace was built and believe to be city protector. 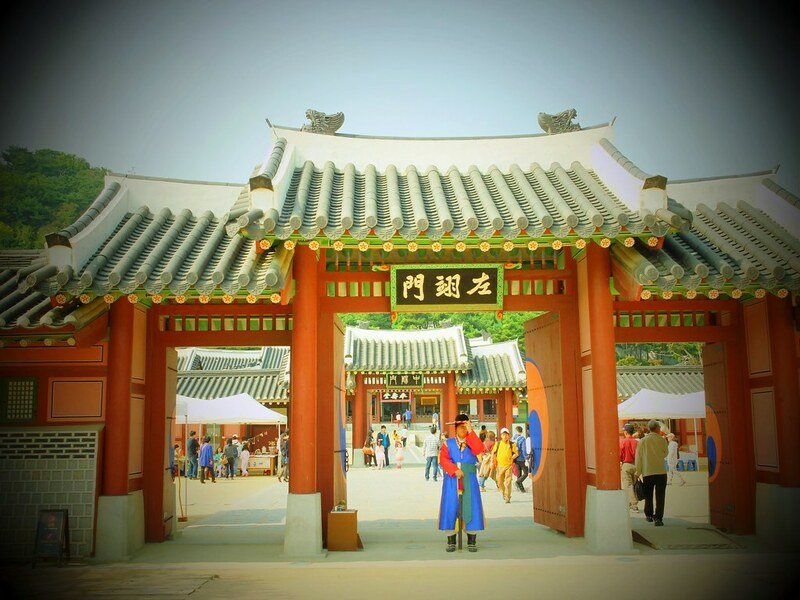 Most visitors write their wishes on a piece of paper and place them on a string surrounding the tree. 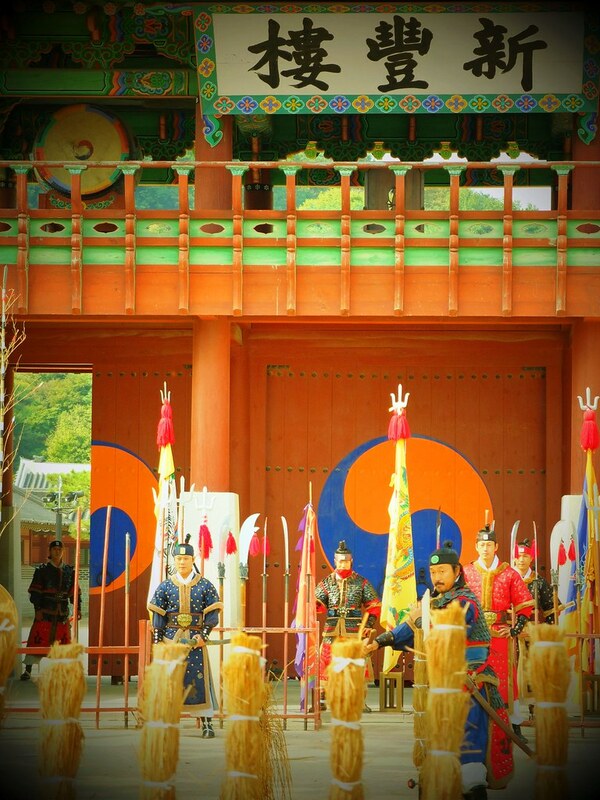 A traditional military ceremony called Jang Yong Yeong Guards Ceremony is held at the palace front gate every Sunday at 2pm. 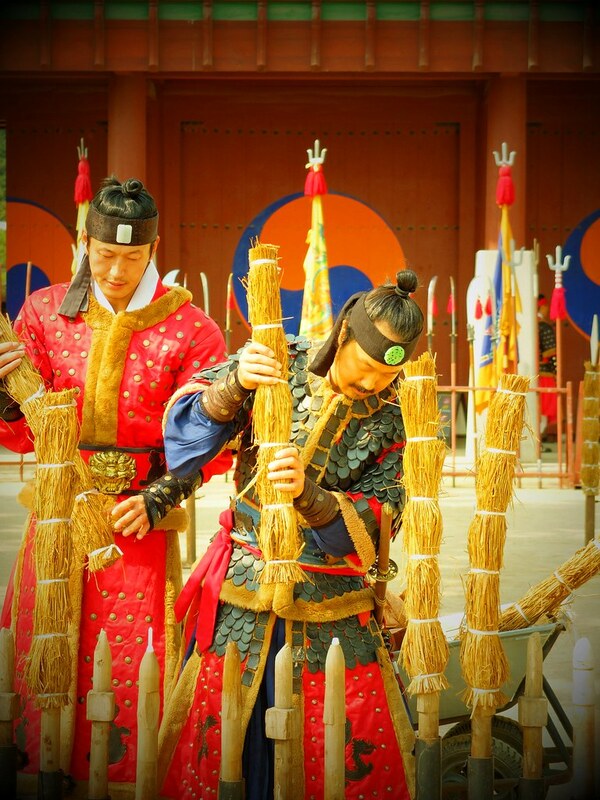 Similar to other changing of the guard ceremony, it shows a how guard designated to defend the gate and the guard designated to defend the outside fortress takes turn according to a fixed manner and signal. 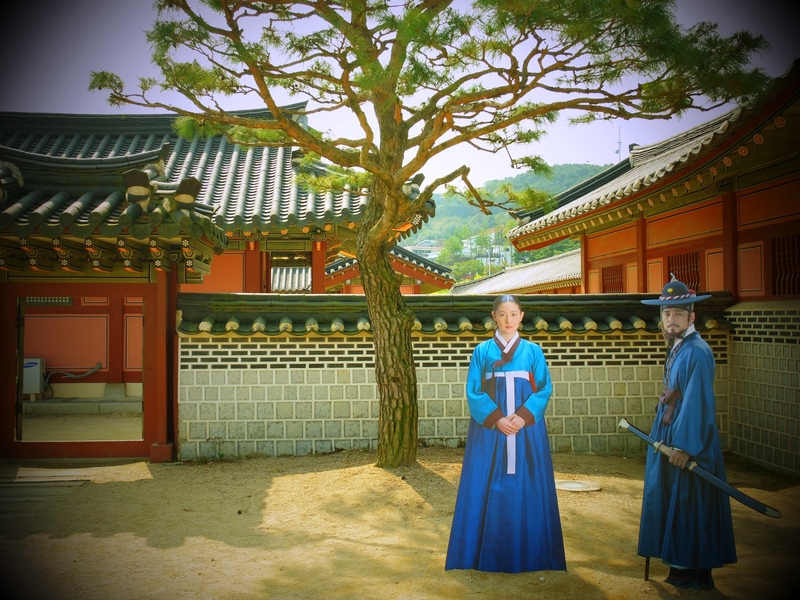 What an incredible series of images! 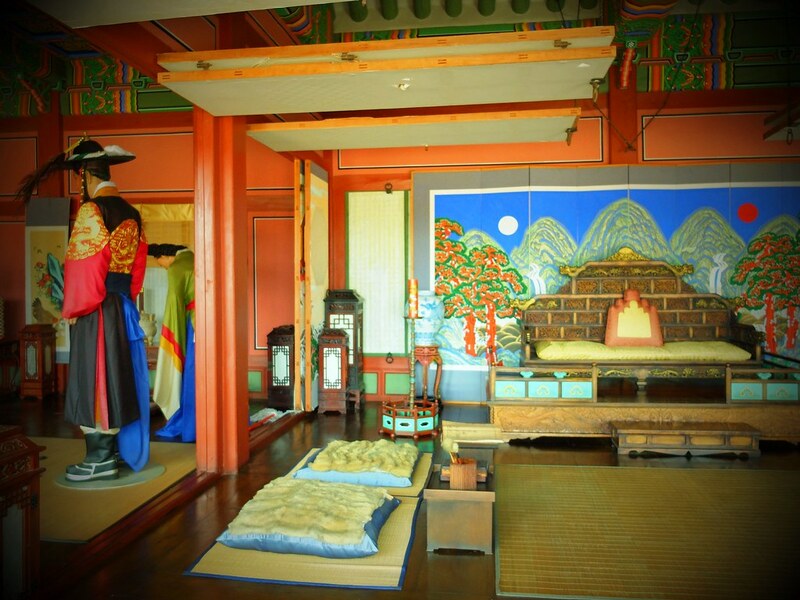 I have really appreciated your travels thru all the palace/fortresses, as i wondered where all the South Korea’s historical dramas where made. 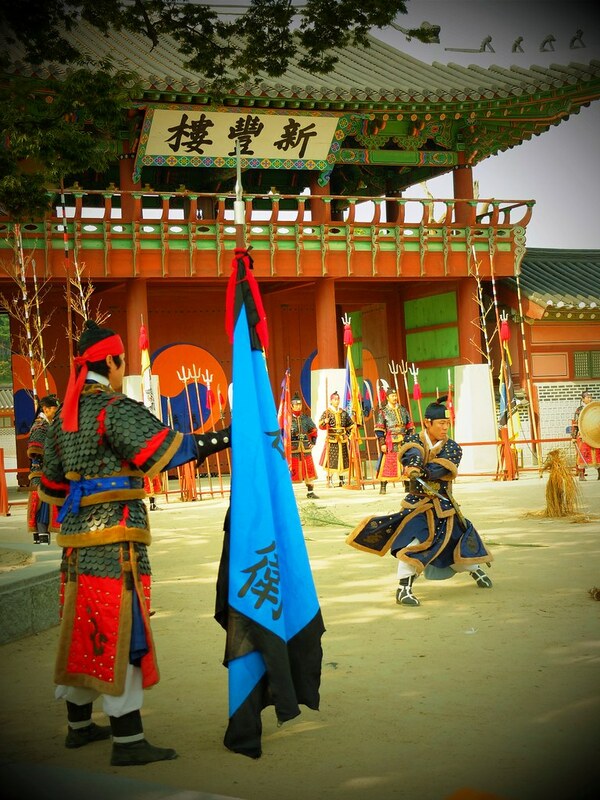 Always great photos. 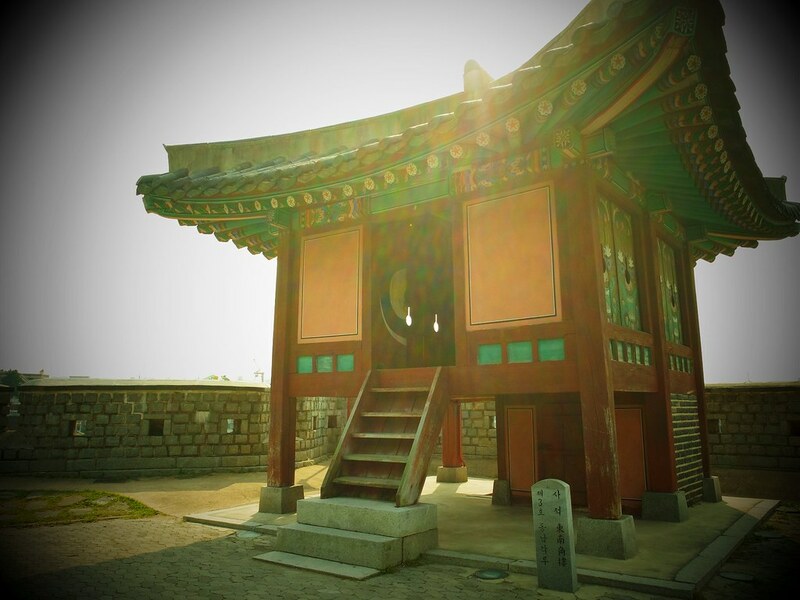 Thanks for the tour. 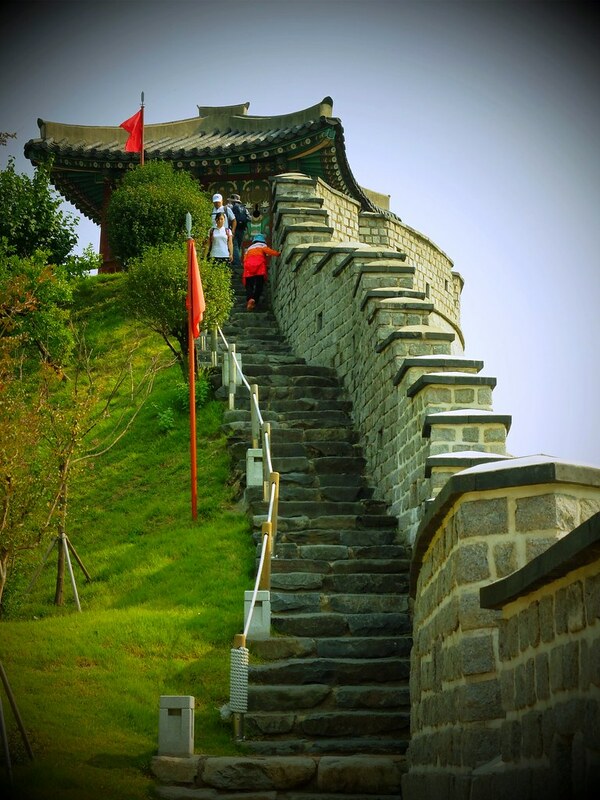 Marvelous post,every picture tells a story ,l hope to visit China in the near future.Thank you for such a wonderful post.